This was one of the trickiest “The Best…” list for me to compile. As I was going through my favorites, and all of the great suggestions others contributed, I concluded that it might work best to really create two lists. The first list — this one — will highlight sites that actually have students recording their own voices in a number of different ways and post their speaking assignments online. The second list, which I’ll publish later this month and will include a number of the sites that readers suggested, will focus on sites where students have to listen to spoken examples for developing better pronunciation skills. It’s sort of an artificial division, I know, and obviously in teaching and learning a second language speaking and listening are intertwined. In fact, students can use some of the sites on this list to practice what they hear on the sites in the next list. But I do think this separation works for the purpose of making these lists. In order to make it on this list, a site had to be free, easy to use, and accessible to English Language Learners. Blabberize allows you to upload an image, have the mouth’s image move in a comedic way, and then “speak” your voice. Students can use their own photos, or a famous person, cartoon character, etc. Blabberize can be used in the same way ESL/EFL teachers sometimes have students use puppets — students can feel more comfortable speaking when it’s not really “them” doing the talking. A Voki is a talking avatar students can design and easily post on a blog or website. Sue Waters has written excellent step-by-step instructions on how to post a Voki. Voice Thread is well-known. Between the free unlimited account for educators, the ability to type text as well as record audio, the ability to grab images off the Web to reinforce understanding, and the great feature of being able to leave audio comments, I don’t think anything beats it. I’m adding Voxopop to this list. Formerly called Chinswing, it lets you easily create private voice “chatboards.” Students can leave messages and respond to one another, or teachers can leave speaking assignments for students to complete. It’s similar to Grapevine and to Vaestro Voice Channel. I’ve posted in the past about how the ability to make easy screencasts — with audio– could be an excellent learning opportunity for English Language Learners (you might want to take a look at that post). The online tool Screencast-O-Matic works okay for this purpose, but seems a little complicated. The extraordinary The Art of Storytelling is a site from the Delaware Art Museum that allows you pick a painting, write a short story about it, record it with your computer microphone, and email the url address for posting on a student website or blog. It’s extraordinarily simple, and extraordinarily accessible to any level of English Language Learner. No registration is required. PodOmatic looks like an extraordinarily easy way to create a podcast. Sign-up and your class has your own channel — all you need is a computer microphone. Chirbit is a new site. After registering (which is very easy — I love sites that don’t require an email activation), you can very easily make a recording or use a text-to-speech feature to create audio. You’re then given a unique url address for the recording. It’s as simple as that. It has other capabilities, too, including responding to the audio message. I recently received my invitation to join Google Voice, Google’s new phone tool. You can read all about it at Lifehacker’s guide. In terms of teaching, I could see it as an easy way for English Language Learners, particularly those with no Internet access, to practice speaking “homework.” They can call my Google Voice number, leave a message, and I can then access both their audio and an automatically generated written transcript of what they said. I can then easily embed both on a classroom blog. Audio Pal is a new tool that lets you easily record a message — either by using a phone, computer mike, or text-to-speech — and then add the embed code to your blog or website. Students can update it as often as they want, and get as many different ones that they want. It’s pretty neat. No registration is necessary, and it’s free. A new site is called English Central. David Deubelbeiss has posted a very thorough post about the site titled English Central – Bringing “voice” and output to learning English. I’d strongly encourage you to read it — I don’t feel any need to “reinvent the wheel.” A quick description is that it’s a free video site for English Language Learners, lets users listen to parts of the video, then lets them repeat what the characters says and compares it to the original. You get graded on how well you do. It has even more features, but you can read David’s post or check out the site directly. The other great thing about it is that the videos are all appropriate for the classroom, unlike several other ESL video sites that have come online recently. David Deubelbeiss, founder of EFL Classroom 2.0, has an excellent speaking activity he uses with his English Language Learner students. He calls it Pass The Paper, and also a helpful PowerPoint. You can read about SMILE and CLEAR at a previous post. SoundCloud lets you very easily record an audio message — the first 120 minutes are free — and then you can post the link or embed it where you like. They’ve also just begun a new site called Take Questions, which TechCrunch calls a “Quora for audio.” There, you can set-up your own page to take audio questions that you can then answer — in audio. Spreaker seems like a pretty easy way to have your own Internet radio show. Sock Puppets is a simple iPhone app that lets you easily record a student and upload it to YouTube. It can be used to briefly record a student speaking or reading in class, or even to have two or three students record a simple play (the free app allows thirty seconds of recording while for 99 cents you can upgrade to 90 seconds). One major advantage of using this for speaking practice is that it’s the sock puppet that’s actually speaking on the display, not the student. It looks like it could have potential. Thanks to techchef4u for the tip. NOTE: The upgraded version appears to be a bit buggy, so I’m only using the free app. We’re also going to be trying out another iPhone app called Talking Wee Mee. It just allows one character, though it appears to provide a one minute recording time. Lisa Johnson also suggested Photo Puppet Go. It’s a little more complicated than the other two I’ve mentioned, but it does have potential. QWiPS easily lets you make a thirty second audio recording that you can — you can also connect it to a photo or video. I’m beginning to take photos (and have students take photos) using iPhone apps that let you provide an accompanying audio commentary. Another option, which was launched this week at the SXSW conference in Austin this week, is an app called Picle. It only gives you ten seconds of commentary, but you can choose to have it record at the same time you’re taking the photo or afterwards. It doesn’t offer an embed option, but you can link to it on the Picle website. It also doesn’t appear to give you an opportunity to re-record if you’re not satisfied with your first try. Here’s a sample – again of Lola. I’d definitely vote for Fotobabble. However, since Picle is new, I assume they’ll be making lots of improvements in the future. I’ve described some nice apps that let you add an audio recording to your photos and then them. enpixa is a new one that’s very similar to the others. It’s free, and you can add a thirty second recording. You can never have too many of these kinds of sites, because you never know which ones will be blocked by school content filters. I’ve previously posted several times about Edcanvass, and it’s already on a number of “The Best…” lists. They’ve added another great feature — the ability to easily record up to five minutes of audio on any image or text you pin to a canvass, and you can pin many items on one canvass. Shadow Puppet is a great iPhone/iPad app. Tellagami is neat iPhone/iPad app that lets users quickly create virtual characters that can speak audio that’s been recorded or use text-to-speech. Speaking Unplugged: 30 Activities for One-to-One Classes is a free downloadable eBook from Online TEFL Training. Getting Your Students Talking is a good post from David Deubelbeiss. 8 fun ways to practice presentations! is from The Business English Experience. 33 ways to speak better English – without taking classes is from British English Coach. …can make anything talk — pets, friends, doodles, and more. Simply take any photo, draw a line to make a mouth, and record your voice. Then share your Pix with friends and family as silly greetings, playful messages, creative cards, or even fancy book reports. And best of all, it’s FREE! Interactive listening and speaking is from The British Council. Using Pair and Group Work to Develop ELLs’ Oral Language Skills is from Colorin Colorado. Key Strategies for Developing Oral Language is from The Teaching Channel. Developing Speaking Skills in the Classroom is by Anthony Ash. Here’s a great list of speaking activities from The British Council. The SpeakPipe voice recorder lets you easily record and save audio on the web. However, I’m not sure how long it saves your recording. Voxer, the popular mobile recording app, can now be used directly on the Web via your computer. You can learn more about it at my previous post, I’m A Bit Late To The “Party,” But Voxer Looks Useful. 12 Fun Speaking Games for Language Learners is from Edutopia. Personalised speaking is from The British Council. Motivating speaking activities for lower levels is from The British Council. Rachael Roberts – A favourite speaking activity is from The British Council. Clarisketch looks like an excellent app for ELLs — you can draw and then record audio about it. Unfortunately, it’s only available as an Android app. I hope they’ll have an iPhone version soon. Ask Answer Add – A Speaking Activity to Help Learners Maintain a Natural Conversation is a great strategy to get students talking. Anchor is an easy tool for creating podcasts. You can read more about it at Richard Byrne’s blog. Here’s A Plan For An Oral Skills Class Next Year – Please Help Make It Better! S is for Speaking (1) is by Scott Thornbury. It offers some good student activity ideas. 3D Avatar Chat is an Android app that has potential as a tool for encouraging ELLs to practice speaking. 10-step guide to teaching effective conversation classes is from Teach English Spain. ADDING A PARAMETER TO COLD CALL is by Doug Lemov. He shares a simple suggestion that could help ELLs, and all students, respond to teachers’ questions better. Adapting the alibi game – part 1 and Adapting the alibi game – part 2 is by Mike Astbury. It’s more of an activity than a game. 4 TEFL Speaking Activities is from Engames. Shabaam lets you record audio to accompany a huge selection of GIFs. It could be a good tool for ELL speaking practice. Three enjoyable smartphone activities to get learners talking is from The British Council. THE EDUBLOGGER’S GUIDE TO PODCASTING is a great post from The Edublogger. Project Audio: Teaching Students How to Produce Their Own Podcasts is from The NY Times Learning Network. 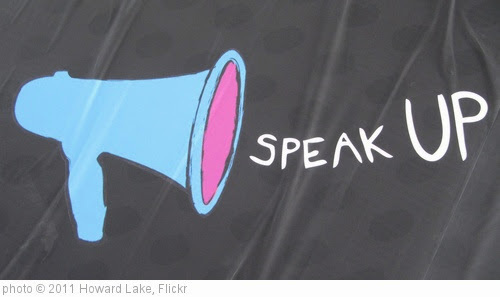 Six Simple Ways to Get Your Students Talking is from CommonLit. Have your students participate in the New York Times Learning Network First-Ever Student Podcast Contest. SpeakPipe Adds New Landing Pages for Gathering Voice Recordings is from Richard Byrne. This could be an easy way for ELL students to leave spoken messages/assignments with their teachers. Speaking Goal Cards are from Tan Huynh. You can read more about them here. Online Voice Recorder does just that for free. I learned about it from Richard Byrne. Cooperative Learning Can Promote ELLs’ Academic Oral Language is the headline of the fifth post in my Ed Week series on ELLs and speaking. Thanks for sharing this! Your lists are a great aid to learn about e-tools. Thanks for these recommendations. I’ll share them with the other teachers in my technology collaborative at the middle school where I teach. It is always good to be more aware of site with educational applications. What a good list !!! Your ranking is an invitation to explore. And on the other hand I think the division is perfect. One thing is what our students produce and another is what they receive. It isn’t an artificial division ,absolutely. Thanks for the Livemocha mention! Great list – I just came across Voice Thread this week. It’s a great concept. Something we’ve noticed is that people’s willingness to contribute speaking exercises is contingent on their proficiency, confidence, and shyness. We’re always looking for ways of making the site more accessible, relevant, and fun for students (some of these sites, especially the talking lama, have done a great job). Also, since we rely on the community to have native speakers assist learners, we need to create a framework to allow native speakers to provide meaningful/ actionable feedback. We are all really excited to try out the sites that you are listing for us. Thanks for all your hard work. Thank you for including GabMail (http://www.freegabmail.com) in your list of The Best Sites to Practice Speaking English. Thanks, especially, for giving us an Honorable Mention. When we designed GabMail, we made the decision to allow users to send and receive email with their own email client. This keeps all the users’ email in one place rather than having text email in one place and video email in another. We also did not feel comfortable asking the users of GabMail to upload their address books as some other sites do. If any of your readers would like to practice speaking English with us, feel free to send a GabMail to: Comments at FreeGabMail dot com. Thank you for that systematic, nuanced, and detailed primer on the best speaking sites as of April 2010. Like many other ESL and English teachers, I have both a great desire to explore these sites and limited time and less expertise. Therefore, I rely on you and your careful assessment of various learning tools to fine and evaluate the options for my students. Next semester I will add this review to the class blackboard. Thank you SO much, Larry! All these links can help a lot to get the students busy doing English at our distance school when Skype is lagging. There is this site that you can message and chat with people from around word. Thanks for sharing these web sites, I’m excited to explore them. Larry, that is quite a list! I especially like the comment about school content filters. In my own school that is quite a game of cat and mouse. Maybe it’ll be useful to know about yet one brand new language learning siocial network- Polyglothub.com . Ejoy it! Thanks for great list. I am all really excited to try out the sites that you are listing for us. Thanks for all your hard work. I am sharing podcast site with the readers. This is a brilliant post. For me however, it falls down in one key area – I’m looking for a recommendation. I don’t personally want to try each one due to the amount of time this would take. This is not so much a personal criticism as I find I face this problem in almost every Best of list. That being said, it is an uber post. Thanks for pulling all the info together! Any experience with http://www.spokenenglishpractice.com? Seem to be a site where students can practice spoken english with native speakers. Any one used this? Thinklink is an invaluable resource for ELL classrooms. I would appreciate your thoughts and comments on this site. It’s a difficult to find these much of website for reference but you have done nice job. Great list! I’d definitely add https://howdoyou.do to this set. My recomendation is http://speaking7.com english chat. You can find there people from all world. I’d add https://www.hearmetalk.net as well. It uses speech recognition to provide feed back and help you improve your speaking skills.